When you’ve got little ones, there’s never enough time. And if they are picky – forget about it. 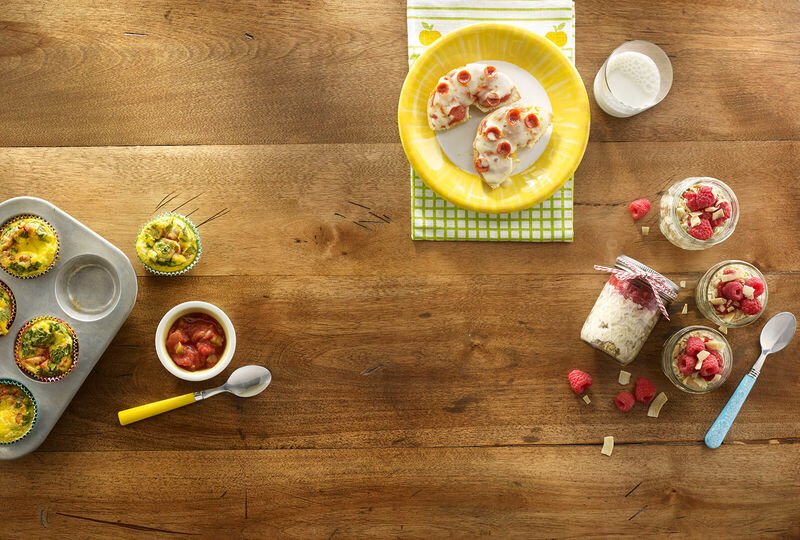 Try your hand at these kid-friendly flavors with little hands-on prep time to make your mornings easier. In 8-ounce glass jar or container with cover, add oats. In small bowl, whisk together almond milk and next 3 ingredients. Pour almond milk mixture over oats, cover or seal and refrigerate overnight. 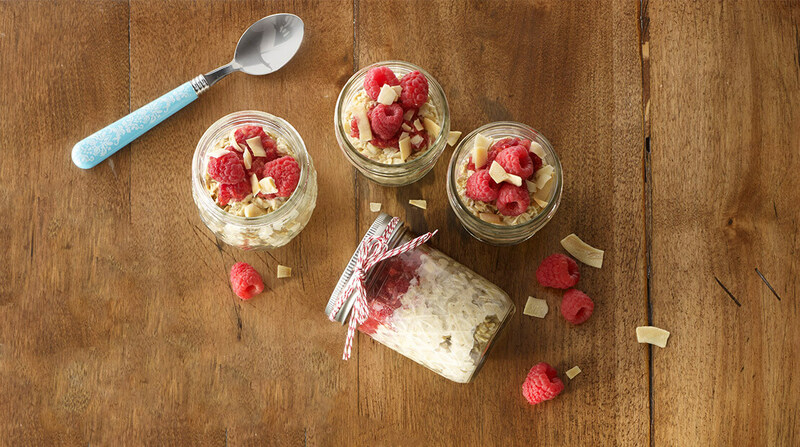 Smash half of raspberries and spoon over oats; top with remaining raspberries and toasted coconut. Heat oven to 400°F. 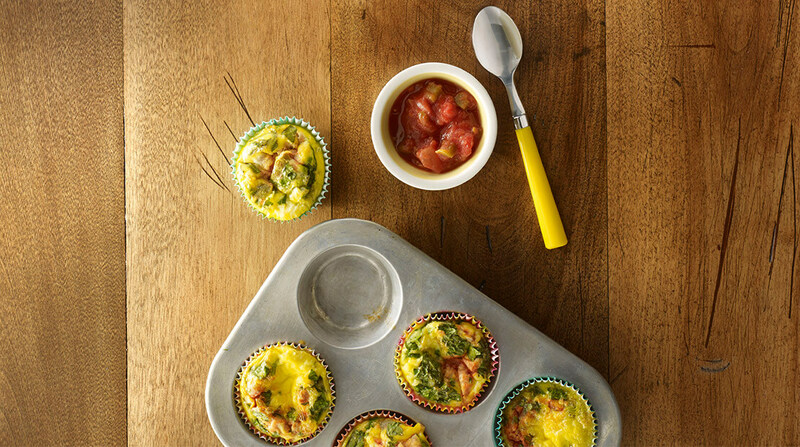 Place muffin liners in 6 cups of muffin pan, if desired. Lightly coat with cooking spray. In medium bowl, whisk together eggs and milk. Divide egg mixture evenly among 6 liners. Top with spinach and remaining ingredients; gently stir. Bake 20 minutes or until eggs are cooked through. Season with salt to taste. Heat oven to 425°F. 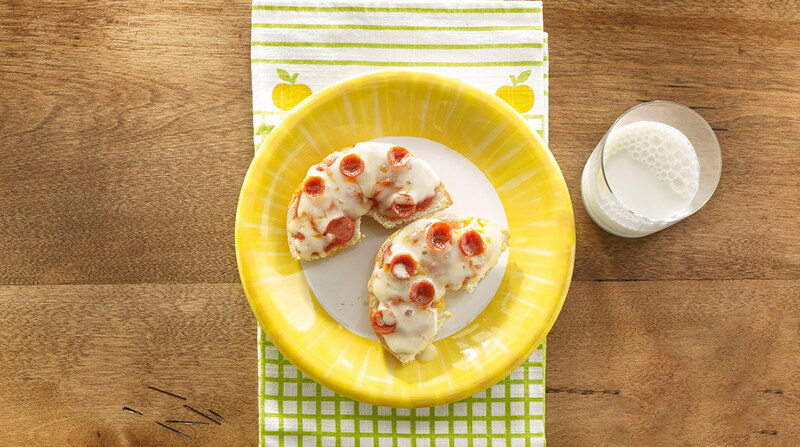 Spread cut sides of bagel halves with marinara sauce. Sprinkle evenly with cheese. Top with pepperoni. Bake 10 minutes or until bubbly.